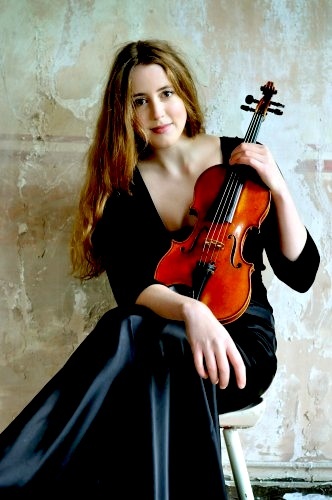 Vilde Frang performed the Britten with the Seattle Symphony Orchestra. The Seattle Times: "Looking as if she had just stepped out of a Pre-Raphaelite painting, the soloist gave an utterly committed, finely nuanced performance that made it clear she owns this difficult, often fierce concerto." Renaud Capucon performed the Brahms with the Chicago Symphony Orchestra. Chicago Tribune: "This was very much a young virtuoso's Brahms, yet a performance sensitively attuned to the inner serenity that is so endemic to the composer's musical psyche. A prime example of this was the slow movement, played as a reverie of quite ravishing tonal beauty, whose arching phrases Capucon delivered with the utmost poetic concentration." Chicago Classical Review: "Capuçon brought notable freshness to the concerto with a finely judged blend of sweetness and sinew. There was ample youthful fire in the opening movement with the drama reflected in the synergy between the soloist and Bychkov’s hard-charging accompaniment." James Ehnes performed Prokofiev's Violin Concerto No. 1 with the National Arts Centre Orchestra. Ottawa Citizen: "Canadian violinist James Ehnes laid down a memorable performance: subtle, exquisitely controlled, with a pure, focused, limpid tone that allowed even the most whisper-quiet passages to cut through the dense orchestration. The final movement slipped by like a dream. Ehnes made Prokofiev’s endless cascades of chromatic scales swirl delicately, like a tiny snowglobe blizzard." Nicola Benedetti performed works by Vivaldi, Tchaikovsky and Turnage, with her ensemble in Dublin. Irish Times: "...the performing was fresh, focused and energetic, despite the last-minute cancellation of a flight on which two members of Benedetti’s hand-picked, conductorless ensemble were booked to travel from Glasgow." Gil Shaham performed Bartok's Violin Concerto No. 2 with the Philadelphia Orchestra. The Philadelphia Inquirer: "The music strained a bit at the seams, though soloist Gil Shaham firmly sustained the piece's lyricism, helping to carry the ear through the particularly detailed thickets of the orchestration." Callum Smart performed the Beethoven with the Nottingham Philharmonic Orchestra. Nottingham Post: "The Violin Concerto was in the safe hands of former BBC Young Musician Callum Smart. Not only did he display technical wizardry (the unusual cadenzas demanded plenty of that) but he allowed the tenderness of the slow movement to speak for itself without any hint of self-indulgence." Henning Kraggerud performed Bruch's Violin Concerto No. 1 with the Auckland Philharmonia. Stuff: "It was not an over-dramatic performance highlighting the technical difficulties of the piece but more the melodic lines and rich emotions, particularly in the second movement Adagio which is the heart of the piece."